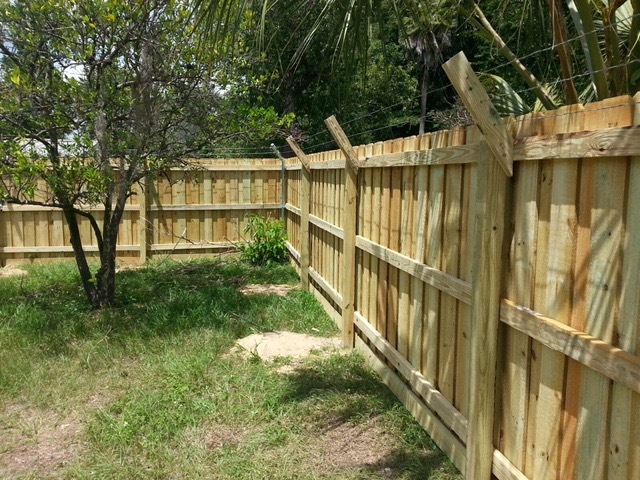 Custom built on site 6ft wood board on board privacy fence with 3 strands of barbless wire. 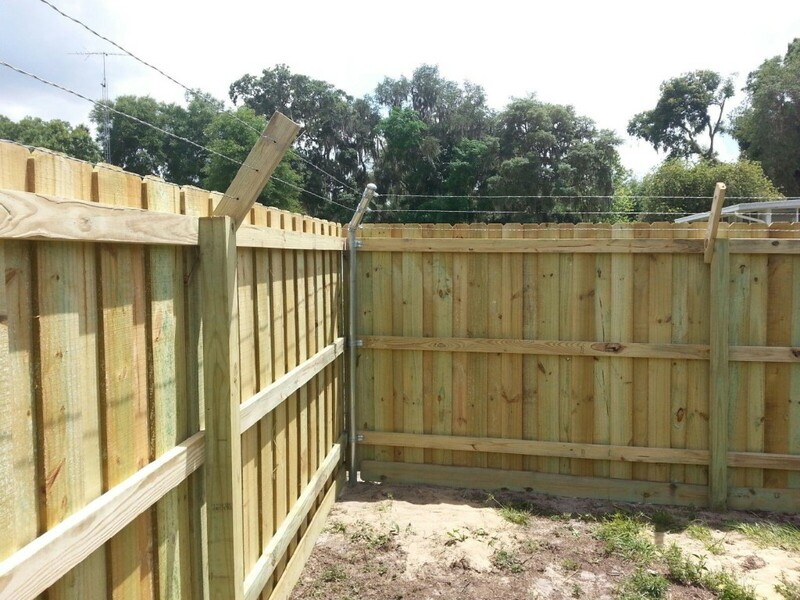 Barbless wire is designed for confining smaller animals. This home owner needed to keep their cat from getting out of the back yard. As pet lovers we understand the needs of keeping your furry family members safe as well.